Caldwell completed and consolidated the programs that his predecessor had instituted. He oversaw accreditation of the university’s doctoral programs by the North Central Association and the first major effort to become a research institute. A School of Nursing was also begun with two years of classes at Fayetteville and two at the new Medical Center in Little Rock. The College of Agriculture undertook the nation’s first international agriculture mission, providing expertise and resources for Panama to create an agricultural program similar in structure to that of the United States. The university also reorganized its internal business structure during his tenure. Caldwell and the Board of Trustees opposed unsuccessfully a legislative act requiring every teacher at a public school or state-supported school, including the university, to file an affidavit listing every organization to which the teacher belonged. The legislation grew out of the integration crisis in Little Rock. Eventually, the act was declared unconstitutional by the U.S. Supreme Court, but not before four faculty members had been dismissed for refusing to file the affidavits. 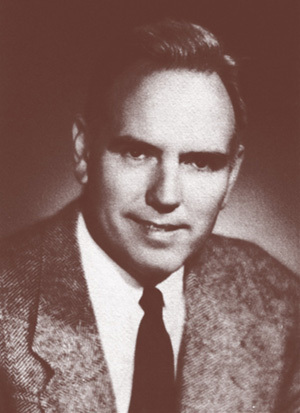 Caldwell left the university in 1959 to become chancellor of North Carolina State University. He received honorary degrees from a host of institutions, including Wake Forest, Duke University, the University of Maryland and the University of Arkansas. Personal: Caldwell was born Dec. 11, 1911, at Yazoo City, Miss., to Joseph Redford and Lilley Tyler Caldwell. He married Catherine Wadsworth Zeek, and they had four children. After her death, he married Catherine Schroeder Erskine. Caldwell died Oct. 13, 1995, at Raleigh, N.C.